My brother, sister and myself own the similar model phones .We are obsessive with this new age cross-platform mobile messaging app named whatsapp. Guess what? We exchange messages in a crazy way! We are based in 3 different countries with very different time zones and this app binds us unbelievably together! Now, brother bakes a brownie and shares the picture of the yummy chocolatey treat with his sisters in his brand new spring form pan. 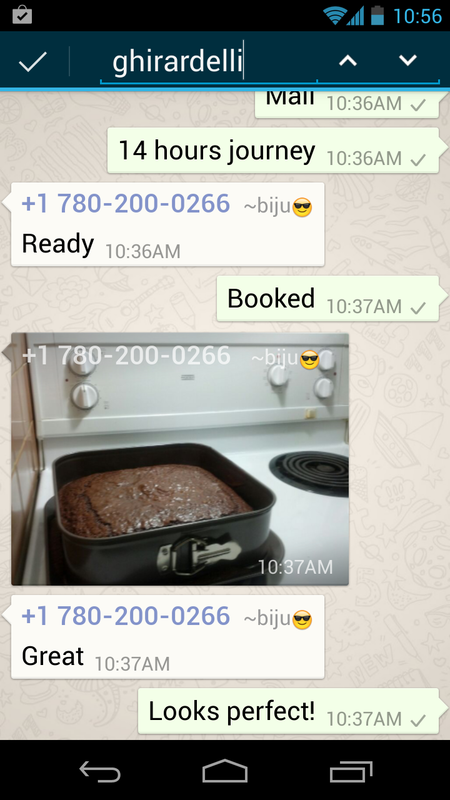 This sister shoots an eye, demands for the recipe of the cake along with the pan :).The e(o)ver generous brother brings them all the way from the far west to the home town where he meets his sisters and parents. Bliss! All this happened a month back when we had a week's break in Kottayam. The moments went zoom and the time flew past. Brother showed me a packet of Ghirardelli Triple Chocolate Brownie mix and told this was what he baked and shared via app. I squealed in delight and grabbed the packet! I never had an idea to blog about this one as it's about an instant mix. Still I was prompted to shoot a few pictures to share in fb for Christmas and a few loving requests got me now to share in this space. Preheat oven to 160 deg C or 325°F. Prepare 8” x 8” baking pan by lightly greasing or spraying with non-stick cooking spray. Blend water, oil and egg in a mixing bowl. 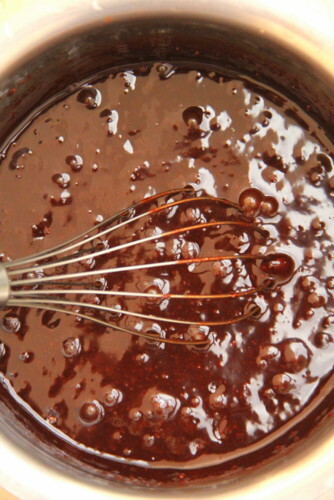 Add brownie mix and crushed oreo biscuits and stir until moistened (about 20 strokes). Spoon batter into prepared pan and spread evenly. Bake for 45-50 minutes.For glass pan, add 5 minutes to the bake time. Cool completely in pan before cutting. Do not over bake. 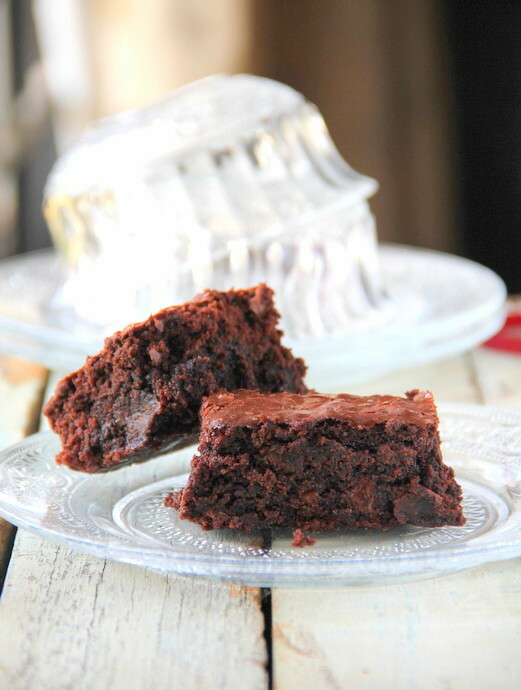 Fresh-baked brownies appear under baked but cool to doneness. 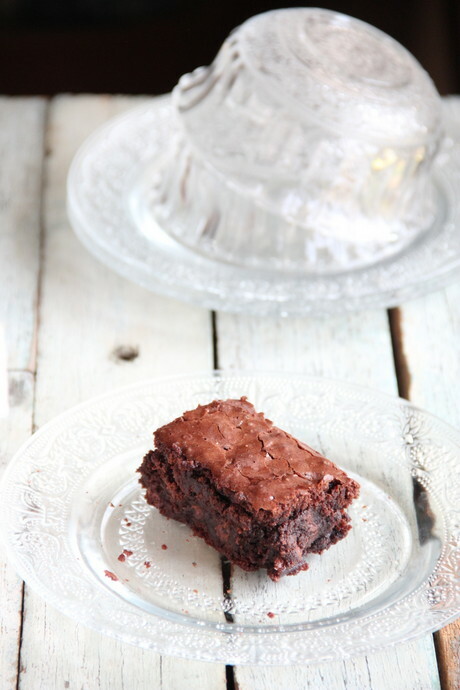 Fudgy Brownies, made from scratch, are already here. Anjalie took one look and announced, "yummy!" and that is exactly my thoughts too. 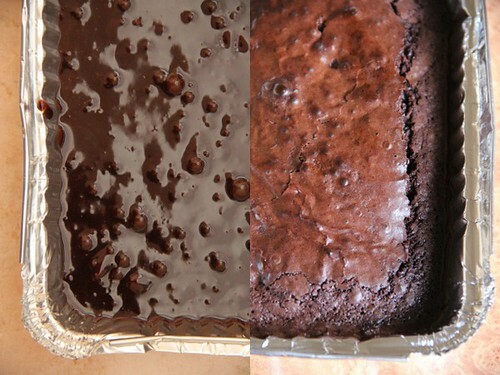 Mix or no mix it still is a great idea to combine brownies with cookies. 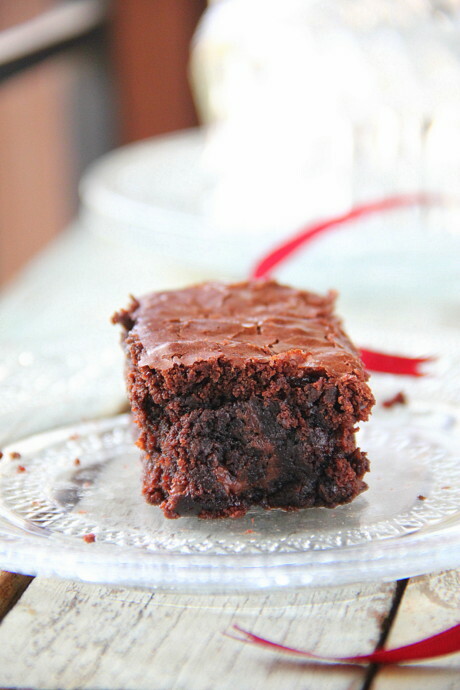 I will have to try it with my cheesecake brownies and see how it turns out. Merry Christmas/Happy Holidays and Happy New year to you and your readers. I've been tempted to buy the ready mix packs too, but I always stop myself, if I give in it will happen way too often. 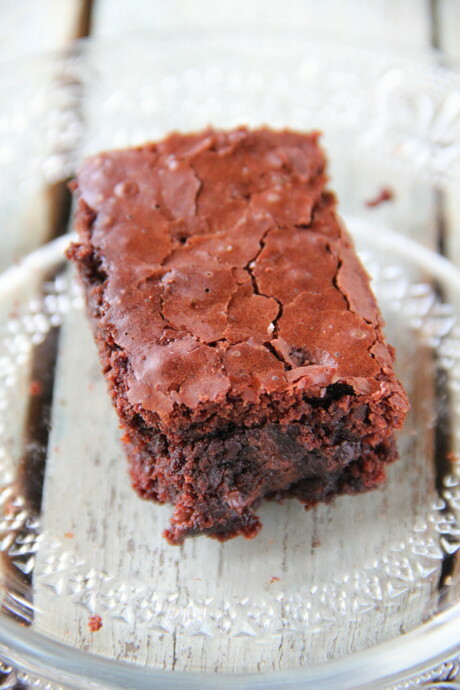 The brownies look great, super fudgy and chocolaty.